205 Live begins this week with General Manager Drake Maverick promising combustible encounters, with tag team action kicking things off, as Kalisto and Lince Dorado take on Tony Nese and Buddy Murphy. 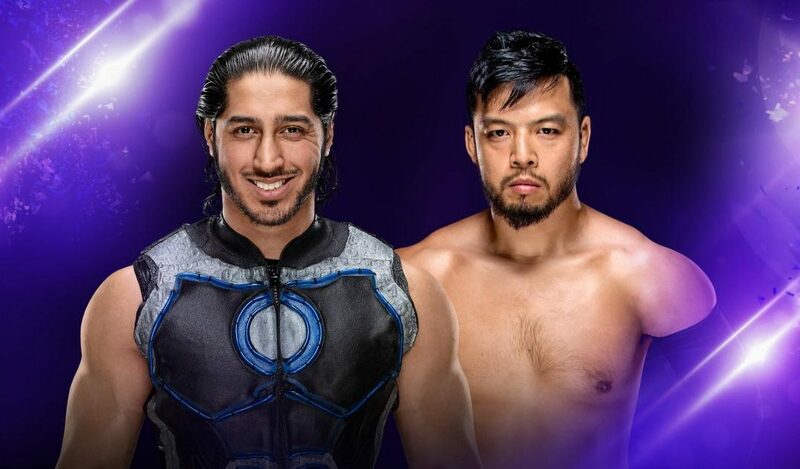 The main event will see Mustafa Ali and Hideo Itami lock horns once again. With Itami getting the better of Ali regularly throughout their time together on 205 Live, the challenge Ali faces is significant. I’ve been critical of the sometimes aimless tag team matches on the show, but I’m looking forward to this one. The four men have clashed frequently of late, and it almost feels as if this bout is overdue. 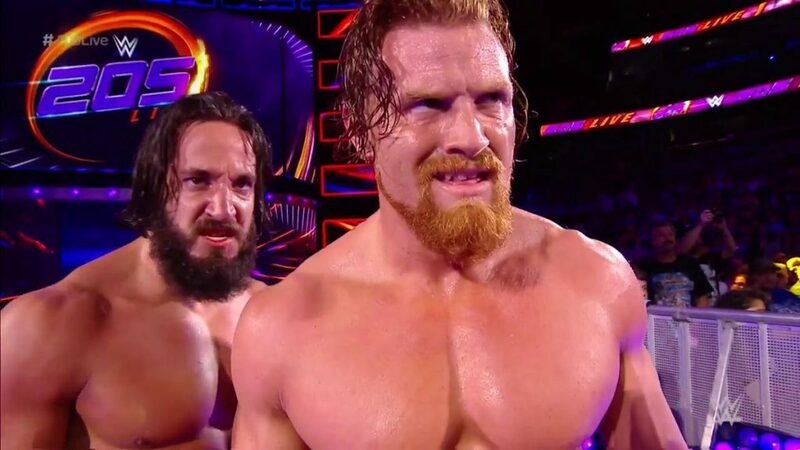 Additionally, Buddy Murphy hasn’t wrestled on TV in some time. It will be interesting to see how he fares outwith singles competition. Kalisto and Murphy kick things off. As has been evident in the singles match-ups between these groups previously, strength versus agility is prominent in the early proceedings; Murphy’s frightening combination of the two proving too much for Kalisto early on. Nese is tagged in, but with the Premier Athlete being unable to cope with the rapid luchador offense, Murphy is relied upon to regain dominance. The newly paired team struggle to get a proper foothold in the match however as, later on, outside interference by Murphy is what allows them to slow things down to their own preferred methodical pace. They take turns in picking Kalisto apart, whose attempts to reach Dorado for a tag are all in vain. Kalisto is worn down further with a Murphy chin lock. However, with Gran Metalik’s noisemaker at ringside acting as a cheer-leading motivator, Kalisto fights off both men and manages a pin attempt. After fighting off more incoming attacks, Dorado finally enters the fray, applying his signature offense with positive results. A simultaneous dropkick to one and moonsault to the other is particularly impressive. It almost pays off with a near-fall, but Murphy is there to break things up. Dorado hits a double Golden Rewind that spills Nese and Murphy out of the ring, and Kalisto joins his tag partner to run the ropes and somersault onto their opponents outside. Dorado has Nese back inside and looks to hit Nese with another Golden Rewind for a possible victory, but Murphy grabs Dorado’s legs as they hit the ropes, halting all momentum for the Golden Phoenix. Dorado is angry with the interception, distracted enough to fall victim to a school-boy roll up from Nese, securing the win for him and Murphy. A decent first encounter between these teams. No doubt we will see more variants over the coming weeks, and perhaps the chemistry between them will improve. From previous experience, Murphy and Kalisto can wrestle the proverbial barn-burner. Here’s hoping that quality rears its head once again. We cut to Mustafa Ali and Drake Maverick backstage. Maverick confronts Ali regarding his recent hospital stay over the weekend, but Ali assures Maverick that everything is well. He says that if Maverick should be worrying about anyone, it’s Hideo Itami. Itami appears elsewhere backstage warming up, warning Ali that he should have shown him respect. 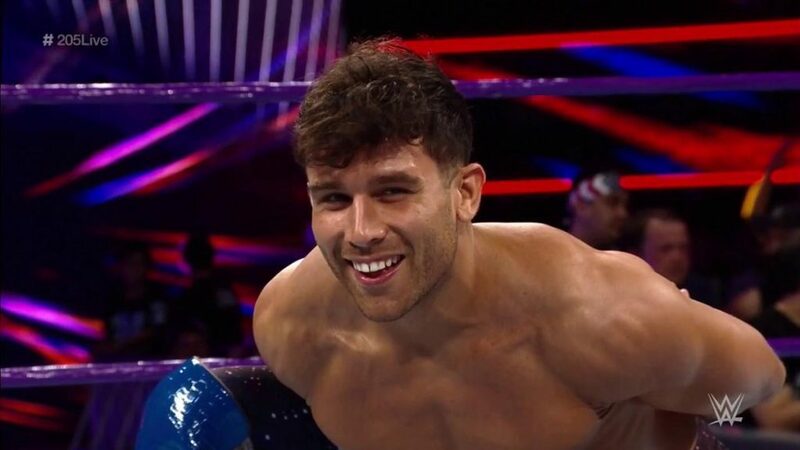 A pre-recorded video comes up next, showing Noam Dar’s rehab from a long-term knee injury. The Scottish Supernova claims he has been re-wired. Dar then discusses his last match with TJP, regarding how his knee was targeted at length. But he states this won’t happen again. After the video, Dar’s music plays as he makes his way to the ring for singles action. Sean Maluta could be a more regular feature on 205 Live in the future. An entrant in the 2016 Cruiserweight Classic, and sparingly used as enhancement talent on NXT, Maluta has his own entrance music as he makes his way down the ramp. A small tweak to the mid-show match we often see on the show but welcome nonetheless. Dar and Mulata feel each other out in the early portions of the match, Maluta gaining an early advantage as he drives an elbow into Dar’s knee. Dar recovers with some punches and feigns from a Maluta cross-body. Dar keeps hold of the momentum, and despite an early scare, hits Maluta with his Nova Roller shin strike finisher for the win. Another successful night for the rehabilitation of Dar’s 205 Live career. TJP was watching the match backstage but seemed to lose interest quickly as he began looking at his phone instead. Perhaps TJP should pay more heed in the future. Vic Joseph takes us to footage of last week’s match between Brian Kendrick and Cedric Alexander, who was then assaulted by Kendrick, Drew Gulak, and Jack Gallagher after the match. Alexander has a selfie video saying he’s up to the challenge, regardless of who gets involved. He asks Jack Gallagher for a match on next week’s 205 Live. We then cut to Gulak, along with his cohorts. He stands behind a podium and promises a “Better 205 Live”. He finishes by threatening that if Alexander steps to him, he will tap out. Ali and Itami make their way to the ring, with Itami receiving the ire of the 205 Live audience. Ali looks ready for the challenge that he has regularly been unable to overcome. The match starts with Itami frequently failing to land his deadly kicks. Ali’s game plan frustrates Itami. Poking the bear like this may come back to haunt Ali in the future, but momentum remains on Ali’s side with a somersault over the top. Ali seems to have come off worse for wear in this exchange, however, as he nurses the small of his back, affording Itami the chance to come back into the match. Both men are out by the apron. The intent to harm each other distracts them from the ten-count by the referee, which reaches seven before Itami comes to. With his focus returned, Itami hauls Ali onto the apron, and dropkicks Ali, slamming him against the corner of the ring. Ali’s back has now become a target. The frustration of not landing kicks earlier in the match spills over as he peppers the injured Ali with a variety of strikes, demanding respect all the while. Itami has Ali in a chin lock now, cutting off his air supply, further debilitating the Heart of 205 Live. He is in full control now. The commentary team wonder if Ali’s recent hospital visit has taken its toll. As if in answer, Ali looks to fight back, rolling through an Itami attack with a crucifix pin attempt, scoring a near-fall. Ali starts to pick up momentum, but his roll through X-Factor is met with a vicious kick. Despite this offense, Ali shows us his trademark resilience, and eventually floors Itami with a second X-Factor attempt. This is not enough to secure a win for Ali, who begins to look frustrated himself. A superkick rocks Itami, but he is able to floor Ali with a spinning back-fist before collapsing to the mat himself. Both men are up, but Itami almost ends the match quickly with a Falcon Arrow. Ali seems a pace behind tonight, the commentary team picking up on this, as Itami continues his assault. Ali fights back, however, as he fends off a superplex, then rolls through, picking Itami up and landing a devastating powerbomb. It isn’t enough however, as, after a flurry of exchanged offense, Itami throws an incoming Ali into the turnbuckle with a snap belly to belly suplex. Unable to score a three count, Itami positions Ali’s head next to the steel steps, a nasty tactic we have seen Itami deploy before. A hesitation dropkick is looming, but Ali moves out of the way at the last second and takes Itami down with a Tornado DDT onto the floor. Ali looks deranged and throws Itami into the ring with his “054” splash in mind. Ali climbs the ropes, but his recent health issues see him hesitate. Itami takes advantage and rips Ali from atop the turnbuckle. He squares Ali up for a hesitation dropkick, which this time works in his favor, and rolls Ali up for the win. Ali tries to leave the ring on his feet, but collapses, and is rushed to by the referee to check on his condition. 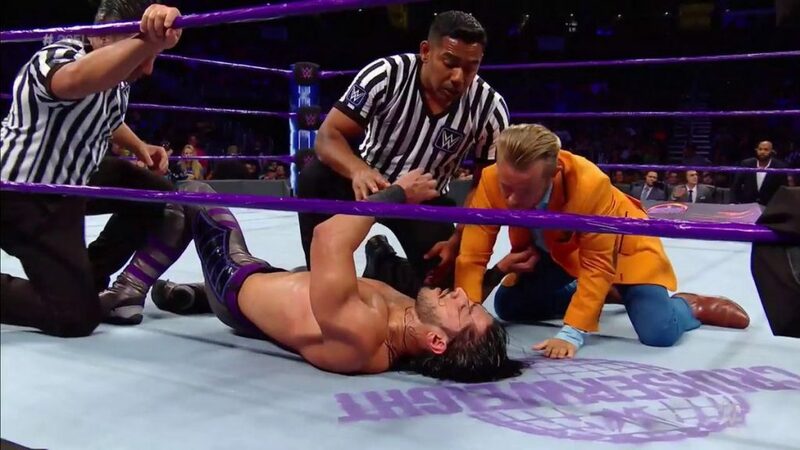 Drake Maverick quickly comes out to assess the situation, manically crying for more help. This worrying scene is what closes the show. I’m unsure how to feel about this health issue story that 205 Live is now telling us. Perhaps I’m so used to seeing Ali overcome punishment on a regular basis, that any sign of weakness just doesn’t sit well. What is evident, however, is that he is unable to do away with Itami at the third time of asking now. Ali has regularly been in the conversation as the next Cruiserweight Champion, but Itami’s continued dominance forces him into that same discussion. 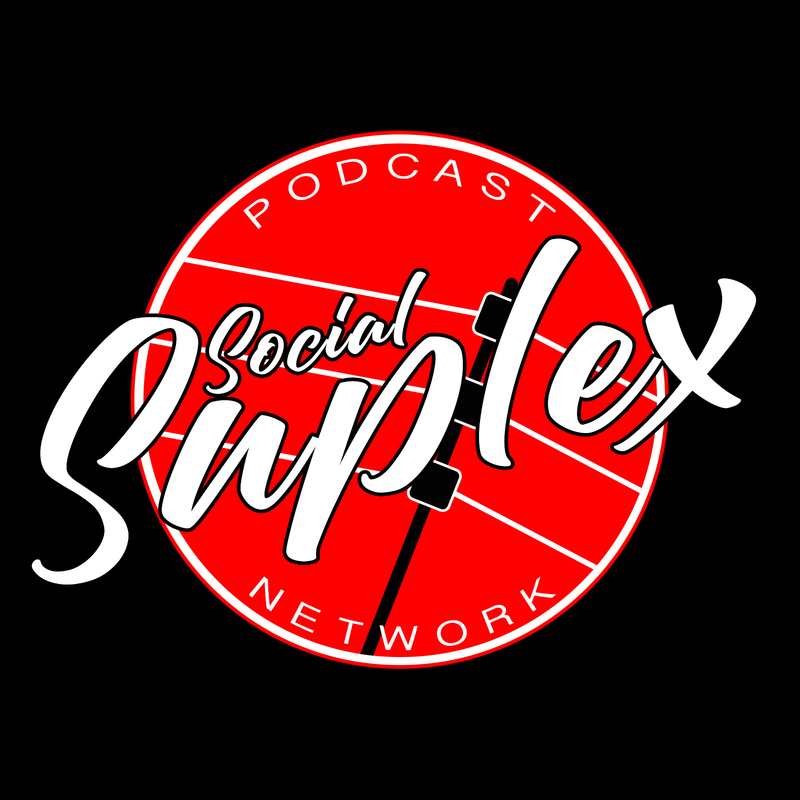 Check out the latest “Ricky & Clive Wrestling Show” on the Social Suplex Podcast Network. Ricky & Clive delve deep into the history of one of the WWE “Big Four”: Summerslam. 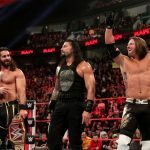 As well as remembering their favorite matches, moments, and versions of the PPV, they look at what matches had the biggest impact on the company’s on- and off-screen future. Examples include Bret Hart vs British Bulldog, The Rock vs Brock Lesnar, and the many John Cena programs, both positive and negative. They finish with a “Who Am I?” quiz. Have a look at all of my 205 Live reviews to date.